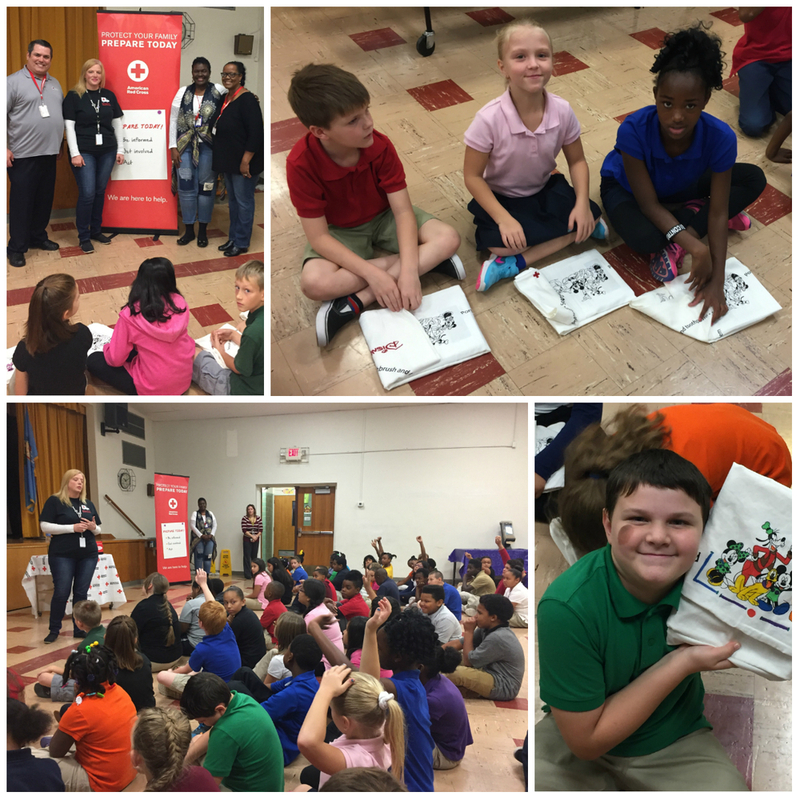 The Red Cross visited Ridgecrest Elementary School to present The Pillowcase Project to fourth graders on Nov. 16. The emergency preparation program is sponsored by Disney and allows students to learn about local hazards, safety skills and basic coping skills. "They learn in a fun way," said Nicole Tarpley, Ridgecrest teacher. "It's always good for kids and their families to be prepared for an emergency." Students are given pillowcases to color and then receive recommended items that can be used in emergency situations to place in the cases. The presentation is given in 40- or 60-minute formats and available for a wide variety of community audiences. Ridgecrest Elementary School was the first Lawton Public Schools site to take part in the program. The effort was led by Pillowcase Project presenter Danielle Shannon and Red Cross representatives Cynthia Farrell, Daniel Farrell and Barbara Estelle Curry. "I was eager to have (Cynthia Farrell) come because I knew this was something all kids needed to be reminded of doing in their homes," Tarpley said. "This is something we would love for the Red Cross to continue to do with us." For more information about coordinating a Pillowcase Project presentation, call 355-2480.